Every four days in a month we have a pop up store at the famous Shopping mall called Village Market. It is a very intriguing experience; I get the opportunity to meet people from all walks of Life. Village market is popular amongst the Expat community, Tourists and local Kenyans. Lukagwa does its set up every last and First Tuesday plus Wednesday of the month at the Food court. I like to showcase a tasty variety of magnificent handmade Afrocentric jewelry. On one of those random Wednesdays evening a tall elegantly dressed lady approached my store. I noticed that she has fine taste in handmade jewelry. Her style of putting on jewelry was not only exciting but also eccentric. 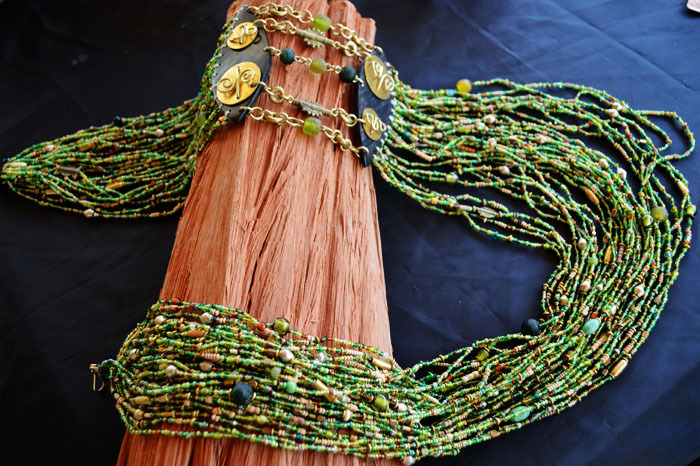 Her first choice was a vivid Emerald green Statement necklace, beaded with Maasai beads. She gracefully put on the chunky African necklace around her waist to act as a belt, it was an electrifying look. In the same stride she completely caught me off guard and picked a delicate Moulin rouge Afrocentric necklace.Once the Afrocentric necklace was on her neck she stated the beads look like Candy. To my utter surprise when she put on the Asra beaded Red necklace it added sheer glamor to her outfit. We had found a perfect fit. Maya Harper flaunting her Elegant Afrocentric Lukagwa necklace in a meeting with the First Lady. 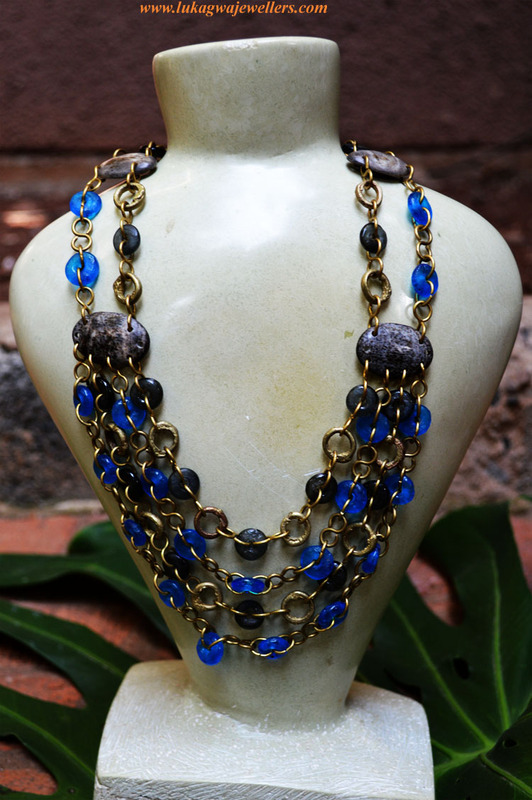 To spoil yourself with one of our pieces of jewelry log onto http://www.etsy.com/shop/lukagwa.